Discussion how do I change this template to appear in mobile ? Can you help me ? because when i using this template do not appear on mobile .. and only the default mobile template are visible. does it appear when you are not in mobile? check your configuration to see if it is correct. 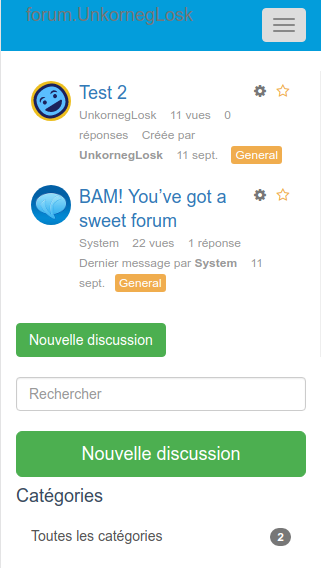 @donidoni can you or can the author post screenshots of what the theme looks like on mobile? @K17 I am aware of this I want to see a screenshot preview before I consider dl. I am not one to blindly try something without some sort of preview btw thx for kat club. "we're everyone, we're everywhere, we're k17"
Ahh thanks for the screenshot @K17 I appreciate your help.